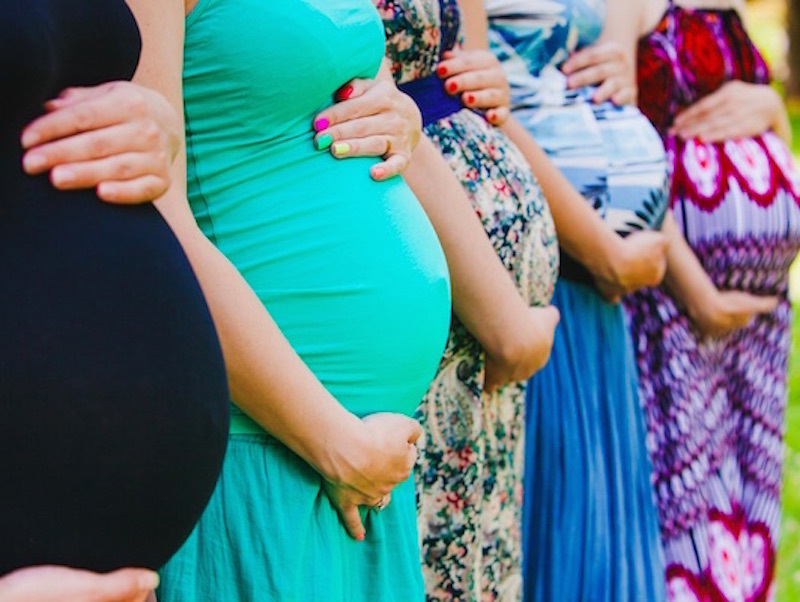 Those 40ish weeks spent growing a baby can have dramatic effects on your body, and researchers have found that pregnancy also creates lasting changes in your brain too. The fascinating study involved scanning women’s brains before conception and then again after their pregnancy and found that, as mothers, the women had less gray matter in several areas of the brain. Before you freak out that having a baby made you lose part of your mind (which, honestly, doesn’t seem so far-fetched at times), you should know that researchers believe this neurological change may be a result of your brain specializing and helping you become a better, more proficient mother. Read on for more about these intriguing findings. The changes, which last for at least two years after a child’s birth, were found in areas of the brain involved with social cognition and theory of mind. These are the regions that are most involved with how we consider and react to what is going on in someone else’s mind. For example, the tiny human for whom you are now responsible. The researchers acknowledge the need for more studies, but they say that these brain changes could actually help women adjust to motherhood and bond with and respond to their babies. The study even found that the women whose brains underwent the biggest changes were also the ones who scored the highest with regard to emotional attachment to their babies. It’s pretty amazing to think that your brain may be literally “remodeling” itself during pregnancy to prepare you for taking care of and totally adoring a new baby. Another interesting result: the researchers also studied the brains of men who were not fathers as well as first time fathers and found no difference in brain volume. This study, which is believed to be the first of its kind, creates many more questions, including “Does a mom’s brain change even more during subsequent pregnancies?” and “Are there any negative long-term effects to this gray matter loss?” We’re intrigued to continue learning about how our body and mind instinctively preps for baby as well as how they are affected by being pregnant. Of course, we don’t need a scientific study to tell us what we already instinctively know: having a baby changes everything. Those 40ish weeks spent growing a baby can have dramatic effects on your body, and researchers have found that pregnancy also creates lasting changes in your brain too. The fascinating study involved scanning women's brains before conception and then again after their pregnancy and found that, as mothers, the women had less gray matter in several areas of the brain. Before you freak out that having a baby made you lose part of your mind (which, honestly, doesn't seem so far-fetched at times), you should know that researchers believe this neurological change may be a result of your brain specializing and helping you become a better, more proficient mother. Read on for more about these intriguing findings.